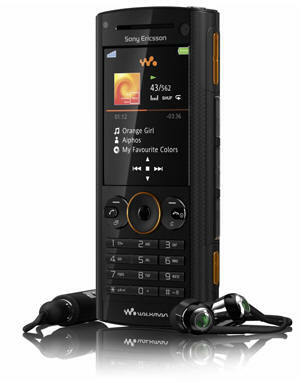 The latest walkman phone which going to release in Q4 2008 by Sony Ericsson is the highly pocketable and stylish phone, introduced by Sony together with W902, W595 and W302. This phone is highly recommended for music lover. Beside, it’s also will attract photography lover. The Sony Ericsson W902 phone will delivers high-quality images and videos as well as crisp clear music sound. This phone will be available in Volcanic Black and Wine Red color. The Sony Ericsson W902 phone has rated by German TEST factory as “the best audio experience”. This phone’s sound quality delivers richer bass performance it also boasts of retro music navigation keys for skipping forward, back, playing and pausing music with a push of a button. The Sony Ericsson W902 offers an integrated 5-megapixel camera with autofocus, and photos can be geo tagged via cell-id. Other features include Stereo Bluetooth, shake control, auto rotate and a claimed battery life of up to 4 hours. Also features are scratch-resistant 2.2 QVGA screen and lens made of mineral glass, an 8GB memory stick micro for expanded storage, FM Radio, Java application support, 3D games support, USB 2.0 support, media player, shake control, trackID, your usual organizer feature and great camera which comes with a slew of nifty features. It also include photo flash, up to 16x digital zoom, auto focus, image stabilizer, photo light, picture blogging, video light, video recording, video stabilizer. The Sony Ericsson W902 is a UMTS/HSDPA 2100 and GSM/GPRS/EDGE 850/900/1800/1900 phone.